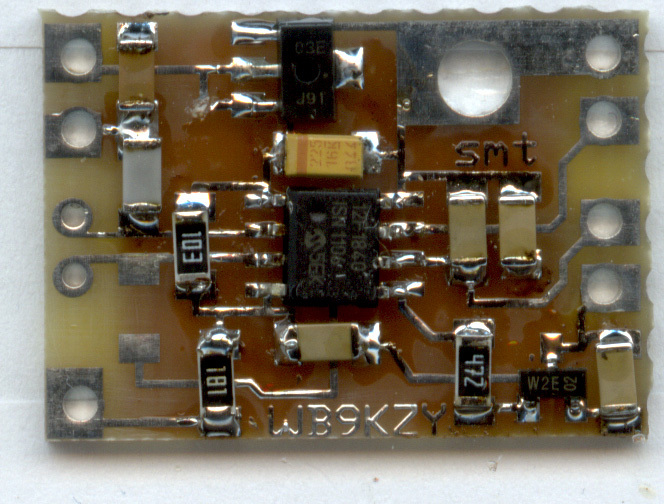 The SMT Keyer kit is a Surface mount version of the PK-4 keyer kit (without the SSR), the Norcal and Pacificon keyers, the MegaPK-II, MegaPK-game, and the PK-Basic keyer kit. Kit Documentation: download (Right click/save target as) and print the SMT keyer kit SMT keyer build doc , hookup diagram , stocklists in Adobe Acrobat (.pdf) format or text file. OR to pay with a credit card use the Paypal shopping cart add to cart button below. 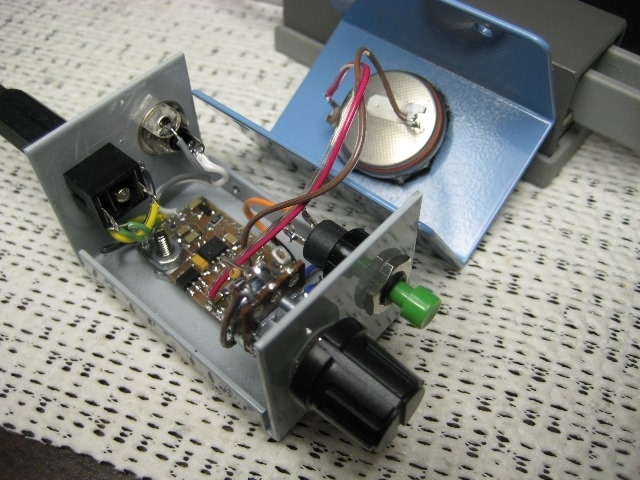 Chuck, W5USJ, was kind enough to send along a couple of pictures of his PK-4 SMT Keyer. 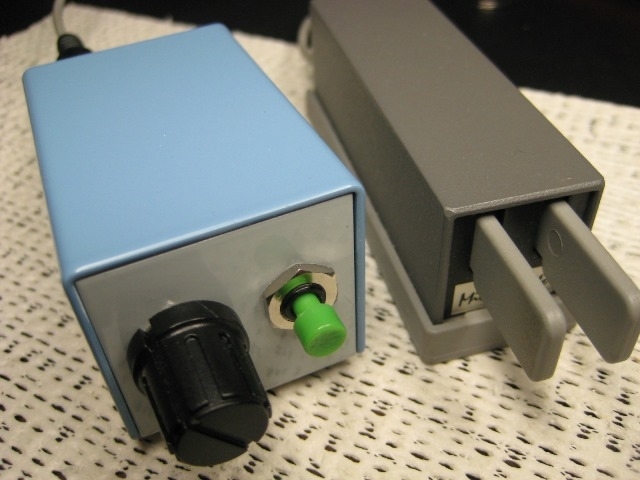 It's housed in an LMB/Heeger CR-211 enclosure. A lithium cell with solder tabs is velcro'd to the lid.